Some think there is a lull at Yorkminster Park between Remembrance Day and the busy Advent/Christmas season. One day last week, I went looking for the lull. Debbie Bozzi, our Director of Operations, Sheila Stonehouse our Finance Manager, and Dale Rose our Minister of Pastoral Care, were all in their offices by 7 a.m. last Tuesday, by which time Ray Tafaj, the Building Superintendent, was already approaching his coffee break. Meanwhile at least fifty volunteers from the Toronto Needlework Guild, hosted by our own Dorcas Group, had also arrived to begin piling their hand knitted winter accessories on table after table in the Heritage Room for their 125th Annual Distribution Day. This year there were 40,000 hand-knit scarves, gloves, toques, blankets and sweaters – all for the needy of our city. The handiwork was so colourful and beautiful! At 9:30 a.m. the Ministry Team began our weekly prayer service in the Chapel. Others entering the building were now making their way through a jungle of strollers parked outside the Centre Hall as close to fifty moms and tots from the neighbourhood were gathering in our gymnasium as part of a service we offer to the community. What a joy it is to hear the sound of children echoing through the hallways all week long. By 10 a.m. Carol Belford’s Bible Study in the Friendship Room was gathering and the staff members of the Yorkminster Park Meals on Wheels, who oversee the delivery of more than 30,000 meals a year, were in their office looking ahead to try to ensure the delivery of hot meals to our clients on Christmas Day. Meanwhile Kim Aikenhead rolled into the kitchen with a trolley full of food for Wednesday’s Alpha dinner. And the Out of the Cold shoppers were not far behind with their delivery of food for Wednesday’s overnight program for the homeless. Inga Fjuk was also in the kitchen planning our Saturday evening supper. In addition, John and Margaret Torrance were collecting coffee urns to take upstairs for the Prime Timers’ senior’s lunch soon to take place in the Friendship Room. By 11:30, the fifty Distribution Day volunteers were moving up to the Cameron Hall for a reception to welcome Ontario’s Lieutenant Governor, the Honourable Elizabeth Dowdeswell, who had come to help celebrate their 125th anniversary. As she left the building, Her Honour greeted the children of the Dalton School playing on our grounds as they were on their lunch break from the classrooms beneath Cameron Hall. Back inside, the Tuesday Noon Hour organ recital series was underway in the Sanctuary, featuring students from the U. of T. Faculty of Music. Out in the Narthex Barb Cooper and Rob Mee were welcoming visitors dropping in to pray or meditate in the hope of finding comfort and peace. Over in the Friendship Room the Prime Timers had attracted quite a crowd – well over fifty – and after their lunch they moved to the gym which had just been vacated by the moms and tots. Once seated, Margaret Torrance introduced a handbell choir whose half hour concert of Christmas songs and carols was spellbinding. In fact, Sandy Boone who had welcomed people at the Centre Hall desk all day, would later comment that the sound of the bells was the highlight. The bells were indeed pure and true, but to me, all the volunteering and welcoming and caring for others was as beautiful and true as the music of the bells. As they packed up the handbells, the church was only half way to closing time and so Ray and his team were soon stacking the chairs and hauling them back to another room, to make room for the Linden School’s basketball practice. It was at about 2:30 p.m. on Tuesday when I finally discovered Yorkminster Park’s lull between Remembrance Day and Advent. But it lasted less than an hour. 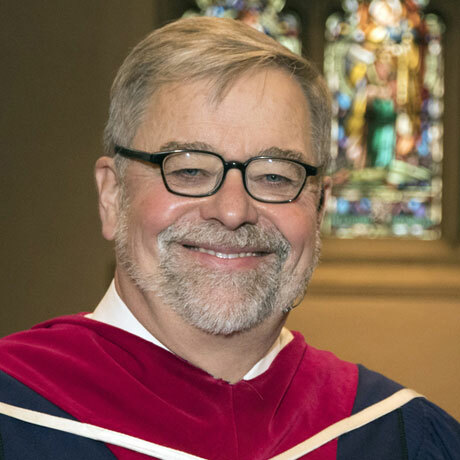 By late afternoon, Don Deathe was in the Sanctuary practicing his piano preludes for Sunday morning, though I didn’t want to distract him because I knew someone else would soon be arriving to rehearse for Wednesday’s noon hour organ recital. All day long members of the ministry team were also absorbed in the work of planning programs, pastoring people, and preparing for Sunday’s services. Cody Barevich was answering the phones in the office and preparing Sunday’s church calendar. Ray and his team were attending to endless setups and Debbie, who would be the last one out of the building that night, was overseeing it all. A small crowd of parents was now lingering outside Cameron Hall, which suggested the daily ballet classes had begun – for their children. It is lovely to catch brief glimpses of the children learning to dance. They remind me that we are all children of God learning to dance to the Spirit’s song of faith and love. No sooner was ballet done than Robert Cooper and members of the Orpheus Choir began arriving for their 7 p.m. rehearsal in Cameron Hall. The Board of Mission was also assembling in the library to consider YP’s next steps in supporting refugee families and other important items. I am sure you get the idea. Yorkminster Park is a busy place seven days a week. I am glad the building is being well used, but there is no virtue in being busy for busyness sake. They were busy in Bethlehem the first Christmas, but in their busyness, they had no room for Jesus in the inn. Yet I am encouraged because we are feeding the hungry, welcoming the refugee, offering hand knit clothing to those without, caring for the sick, offering support to the homeless, making disciples, and I believe as we do these things, we will know the wonder of Christ’s presence and love and not just at Christmas. The last meeting of the day was the Board of Finance and Administration. We face the challenge of needing to raise more than $400,000 before year’s end in order to break even. Yet there was no panic. We are a people of faith and the leadership of the church believes we all share in the call to be the voice, hands, and feet of Jesus here in the heart of Canada’s largest city. When the day finally came to an end the realization dawned on me that in my search for the lull between Remembrance Day and Christmas, I had discovered that every day here is like Christmas and not just because it is busy, but because God’s love is so generously offered from above and shared so freely by so many. You are a generous people and so as I think too of the needs of the church, yet also the great need for the church, I invite you to prayerfully consider this opportunity to participate further in this calling we share by making a special gift to Yorkminster Park as we together come to Christmas, just as Mary and Joseph, and the shepherds and magi did so long ago. A Christmas Offering Envelope has been provided but you can also donate online. May you have a truly wonderful Christmas and may you be blessed by a sense of Immanuel – God With Us!